Can anyone identify these seedlings which I have sown and, if you look closely, you will see they are growing from a very small pea-like seed. They don't appear to be producing any flowers, yet, and don't look likely to. Help! These look like young Hosta leaves or also look similiar to Lily Of The Valley young leaves. Plants can be difficult to make identifications at young stages and with little to go on. You can do the wait and see what happens approach to look for any other identifying traits. Did you purchase seeds or were given the seeds? Seed packets should have information and perhaps if they were a gift you could ask the person if they could give you care information on the lovely gift. 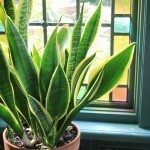 Here are some articles on the 2 plants I mentioned.